Douglas Gibson, MD, specializes in the advanced care of patients suffering from arrhythmia such as atrial fibrillation, supraventricular tachycardia and ventricular tachycardia. He is an expert in catheter ablation, a minimally invasive procedure that destroys the abnormal heart cells that cause arrhythmias. Dr. Sacha P. Salzberg, MD, PhD. Dr. Moussa Mansour, MD, PhD. Director, Cardiac Electrophysiology Laboratory, Director, Atrial Fibrillation Program, Massachusetts General Hospital, Boston, MA. Dr. Edward P. Gerstenfeld, MD. 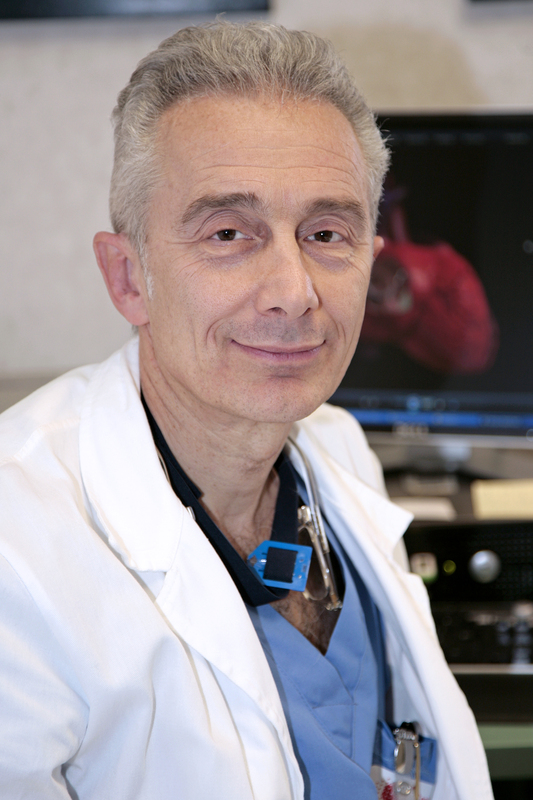 Dr Gerstenfeld is the Melvin Scheinman Professor of Medicine and Chief of the Cardiac Electrophysiology and Arrhythmia Service at the University of California, San Francisco Medical Center. 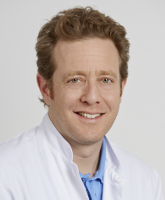 Dr Gerstenfeld received his undergraduate degree from Duke University in Biomedical and Electrical Engineering and a Masters Degree in Biomedical Engineering from Northwestern University before completing medical school at Northwestern University in Chicago. He completed medical residency at Beth Israel Hospital in Boston, Cardiology Fellowship at the University of Massachusetts, and Cardiac Electrophysiology fellowship at the Hospital of the University of Pennsylvania. Dr Gerstenfeld has published > 100 peer-reviewed manuscripts, editorials and book chapters on cardiac arrhythmias. He served for 7 years on the national Clinical Cardiac Electrophysiology board writing committee and is on the editorial board of multiple cardiology journals. 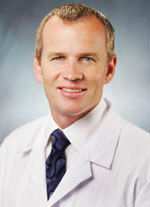 Dr Gerstenfeld specializes in the treatment of atrial fibrillation and ventricular tachycardia. 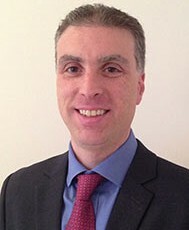 Dr. Christopher R. Ellis, MD, FACC, FHRS. Christopher R. Ellis, MD, FACC, FHRS completed medical school at University of Rochester, NY in 2000. He completed Internal Medicine-Pediatrics residency at Vanderbilt Medical Center and was appointed the Hugh J. Morgan Chief Resident for Internal Medicine 2004-2005. 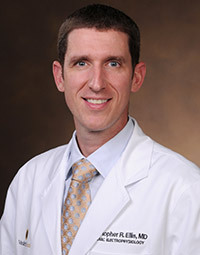 His Cardiovascular Medicine Fellowship at Vanderbilt Heart and Vascular Institute spanned 2005-2008. Dr. Ellis then worked under Dr. Fred Morady at University of Michigan 2008-2009 completing Clinical Cardiac Electrophysiology Fellowship before re-joining Vanderbilt Heart and Vascular Institute in July 2009 as Assistant Professor of Medicine. He has since expanded his clinical practice to reach a referral base for the greater Southeastern US in complex left atrial catheter ablation, laser lead extraction, and left atrial appendage ligation. He helped create the hybrid AF surgical ablation program at Vanderbilt alongside colleagues Steven J. Hoff and S. Patrick Whalen, and continues to work with Atricure ,Inc., to design clinical trials for longstanding persistent AF ablation (DEEP hybrid AF), and left atrial appendage ligation for stroke prevention. He has created the Left Atrial Appendage Closure (LAAC- LARIAT and Watchman) program at Vanderbilt, and is helping design a prospective randomized trial of LARIAT (Sentre Heart, Inc.) LAA ligation, plus catheter ablation, versus catheter ablation alone, for persistent AF treatment. Looking forward, goals for Dr. Ellis include continued advancement of AF therapy, including unique collaboration in translational genomics work at Vanderbilt, and helping spearhead the landmark clinical trials to prove that ligation of the LAA prevents stroke in AF patients. 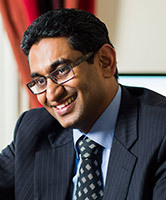 Dr. Dhanunjaya Lakkireddy, MD, FACC, FHRS. Dr. Dhanunjaya Lakkireddy, MD, F.A.C.C, FHRS. is a board certified electrophysiology expert and practices at Mid-America Cardiology and The University of Kansas Hospital Clinics in Kansas City, KS, USA. He has several distinctions in clinical and research career to his credit and serves as an associate editor for Journal of Atrial Fibrillation. Dr. Saad completed medical training and cardiology fellowship at the Federal University of Rio de Janeiro, Brazil, followed fellowship in Electrophysiology and Pacing at the Cleveland Clinic Foundation, USA. Further PhD program and thesis was performed at the Federal University of Rio Grande do Sul, Brazil. Main areas of scientific interest are in catheter ablation of atrial fibrillation and ventricular tachyarrhythmias as well as cardiac ressynchronization therapy and left atrial appendage occlusion. Currently Director of Cardiac Electrophysiology and Pacing and Director of the Center for Atrial Fibrillation at Hospital Pró-Cardíaco, Rio de Janeiro, Brazil and Scientific Director of the Brazilian Society of Cardiac Arrhythmias (SOBRAC). Professor Prash Sanders is Director of the Centre for Heart Rhythm Disorders at the South Australian Health and Medical Research Institute (SAHMRI), University of Adelaide and Royal Adelaide Hospital in Adelaide, Australia. He undertook electrophysiology training in Melbourne and Bordeaux before establishing his own group. He now leads a team of clinicians, researcher and students with a focus on all aspects of understanding and treating atrial fibrillation.